"The Queen: A Life in Brief"
Elizabeth II was not born to be queen. She came into the world on April 21, 1926, the equivalent of the modern Princess Beatrice, first-born daughter of the Duke of York, destined to flutter on the royal fringe. So while Lilibet was brought up with almost religious respect for the crown, there seemed no chance of her inheriting it. Her head was never turned by the personal prospect of grandeur—which is why she would prove so very good at her job. Elizabeth II's lack of ego was to prove the paradoxical secret of her greatness. For more than thirty years, acclaimed author and royal biographer Robert Lacey has been gathering material from members of the Queen's inner circle—her friends, relatives, private secretaries, and prime ministers. Now, in The Queen, Lacey offers a life of the celebrated monarch, told in six succinct chapters, accentuated by elegant color and black-and-white photographs that capture the distinctive flavor of passing eras and reveal how Elizabeth II adapted—or, on occasions, regally declined to adapt—to changing times. With Queen Elizabeth II's Diamond Jubilee this month, I realized that I really didn't know that much about the Queen. During my lifetime, she is someone who was just always there, as a fact-the sky is blue, Elizabeth is the Queen of England-something that doesn't change. I wanted to know more about the Queen, and this shorter bio seemed like a great place to start. I've seen complaints about the shorter length of this book (about 160 pgs) but I had no problem with that, I wanted a less overwhelming way to dive into her history. I did enjoy reading the book, and I learned a lot about the royal family, but there were some drawbacks as well. I felt like it was more of a family history during Elizabeth's lifetime instead of her personal bio. The early chapters about her childhood up to the coronation were fantastic and I learned a lot about her. But then the book seemed to focus on the scandalous exploits of the other members of the royal family (well, mostly Charles and Diana) and how Elizabeth reacted to that instead of her own story of things she did as Queen. Again, it was really fun and addicting to read about Charles and Diana's exploits because I was too young to know what was going on when it was really happening so all of the scandal was new to me. But at the same time, I read the book to read about Queen Elizabeth. Sometimes I got the feeling that book had a wishy-washy viewpoint on the royal family. Sometimes they were portrayed in a positive light, but sometimes they were portrayed more scandalously. I, personally, found myself wanting to read the story through rose-colored glasses I suppose, but it wasn't written that way. I did love the things that were mentioned at the very end of the book, which was actually the wedding of William and Kate. The author spoke of forgiveness for the past and looking to the future and I think it was a great way to sum up the roller coaster ride of the royal family during Elizabeth's reign. Bottom Line: A great primer for the history of the royal family during Elizabeth's lifetime, but I would have loved to see more of a focus on the Queen herself. 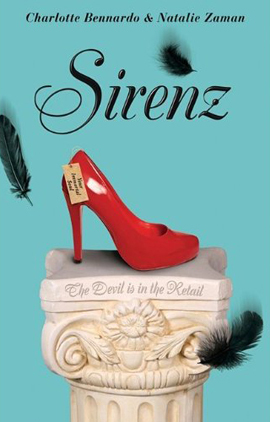 Giveaway and Review: "Sirenz Back in Fashion"
Today, I'm a part of the Sirenz Back in Fashion 2 Worlds Tour! 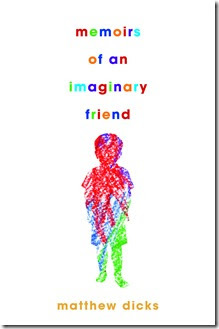 I have a special giveaway of the book and my review! This is another great installment of the Sirenz series, a modern take on the Greek myths. I think I liked it even more than the first book. Shar and Meg are up against Hades again, and along the way meet even more Greek gods and goddesses. I felt like there was more mythology explored in this book than the first, the girls meet a lot of deities and learn their stories. I won't reveal who the major two gods and goddesses are that they are helping this time around, because it's way more fun to figure it out for yourself along the way. Hades is back in full Hades fashion, he's always so fun to read about. As in the first book, he's a total guilty pleasure to read about, and it's so fun because he's not glorified as a 'bad boy boyfriend', he's a bad boy who may be totally hot but the girls know better than to think he's great boyfriend material. This book can definitely stand on it's own, you wouldn't have to read the first book to understand this one entirely. However, I really liked how Shar and Meg's friendship was developed and explored in the first book, so I think it would add to the story if you read that one first. 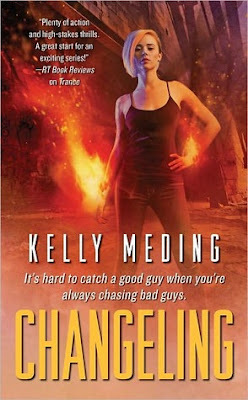 I think there's a lot more going on action-wise in this sequel to Sirenz, but again, the first book adds a lot of depth to the characters. 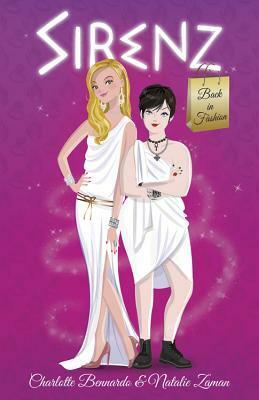 Bottom Line: Another fun installment to a great new modern take on the Greek gods and goddesses. Did I mention this Hades bookmark is my new favorite bookmark?? Charlotte and Natalie have generously provided a copy of this book for readers of my blog! Books will be mailed out by the authors, it is the authors' responsibility to mail out the prizes. Please allow up to 8 weeks for delivery. I love all of the Goddess Girls books, but this one is possibly even tied for overall fave along with Persephone the Phony. I was almost wary of a book about the 'Queen of Mean' Medusa, but now I absolutely love her! We really got to see why she acts the way she does and understand her motivations for being so grouchy. I totally love her snakes as well. After Athena caused her hair to turn into snakes, Medusa doesn't even see it as a bad thing, she loves her snakes like pets! The snakes hiss at people who are mean to her and always have her back when she needs help. They have their own little personalities and they were just too fun to read about. 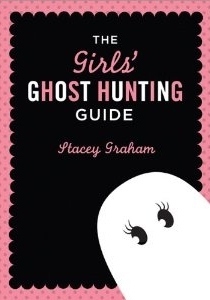 The other Goddess Girls did make appearances in this book, but maybe not as much as in the other installments. Medusa isn't exactly best friends with them! But she does make improvements in her social skills and all of the girls do become closer in this book. 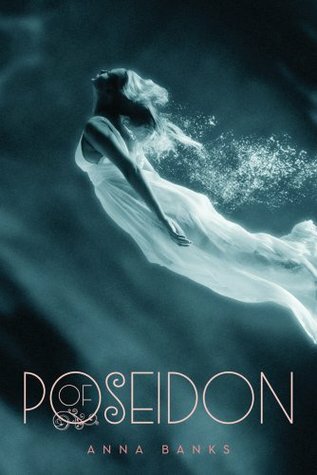 Her age-appropriate flirtation with both Poseidon and Dionysus is super cute to read about. I loved her crush shrine to Poseidon and her obliviousness that Dionysus was interested in her. I really liked the message that comes across when Medusa tried to come out of her shell a little and actually had to make an effort to make some friends and take some risks in trusting people. 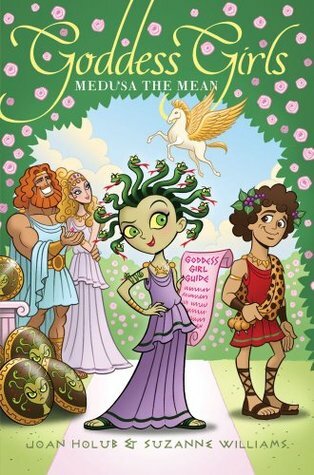 I'd love to see another installment of the series from Medusa's point of view. Bottom Line: Run, don't walk, to read this installment of the Goddess Girls series, it's one of the best books in an already series! If you think this Goddess Girls book sounds great, check out my reviews for ALL of the books in the series! I will be having a giveaway for the first SUPER SPECIAL edition later this summer! Today, June 18th, marks the would-be 111th birthday of Grand Duchess Anastasia Romanov of Russia. 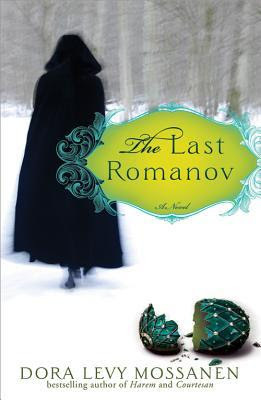 To celebrate her birthday, Sourcebooks is sponsoring a giveaway of a copy of "The Last Romanov" by Dora Levy Mossanen to a lucky reader of my blog! 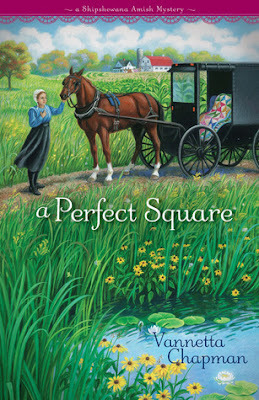 Sourcebooks has generously provided a copy of this book for readers of my blog! This was a really fun modern spin on the Greek myths. I love that it didn't take itself too seriously, yet there's still a lot of heart. I'd say the main message behind the book is friendship, even among an unlikely duo like Shar and Meg. While I love historicals and fantasy books, I also loved that the authors made the Greek deities completely and unapologetically modern in this book. Hades gives the girls an iPhone with apps to answer any questions that they have about their duties. Persephone is a ditzy Hilton/Kardashian clone. It's modern life and pop culture to the max and it really works here. Even though Hades is about as far as you can get from my type of guy, I loved reading about him! Another guilty pleasure, I suppose. I think the reason it worked for me here is because he was the 'villian', no one was saying what a great guy he was to date. He was uber-alpha and after Shar for all the wrong reasons and the girls knew it. They didn't think he was a great catch, even though Shar couldn't help being attracted to him since he was so darn hot. I loved all the scenes with Hades for sure! Bottom Line: A fun, fast-paced modern take on the Greek myths. I love her Shaker series! I loved this book, you can see my review here. 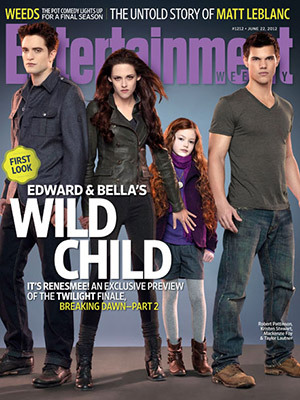 This won't be 'new' news to many of you, but just in case you haven't seen it yet, Entertainment Weekly features the first pics of Renesme from Twilight on this week's cover! I was excited to see this for sure! 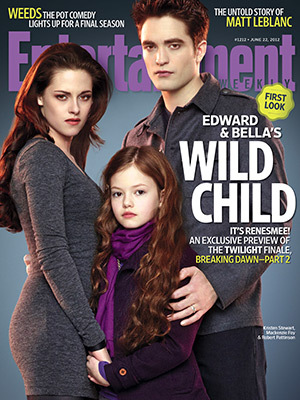 EW.com also has more pics on their site and in the magazine. 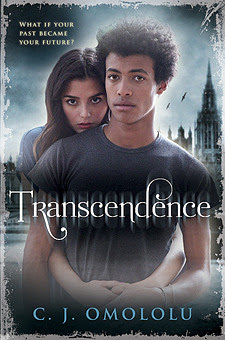 Also, has anyone actually seen the version of the cover with Jacob? I got the original version in the mail, and it didn't say anything about collecting more covers. I want the Jacob cover! I have a new contest going on right now! 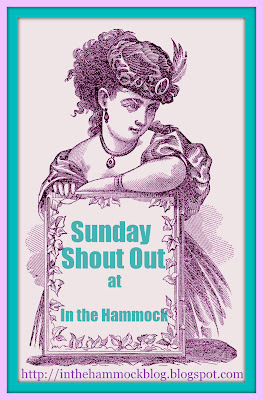 If you would like to do your own Sunday Shout out, please add the button that links back to this post, and leave your link in the linky section this weekend so I can check it out, and so that other readers can stop by too!! Please remember to add the button so we can get the word out about the event! 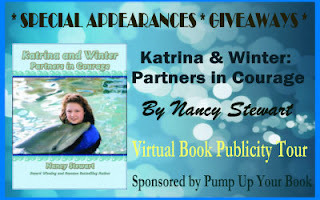 "Katrina and Winter: Partners in Courage"
and befriends Winter, the tailless dolphin, at the Clearwater Marine Aquarium, everything changes, including Katrina’s whole life. 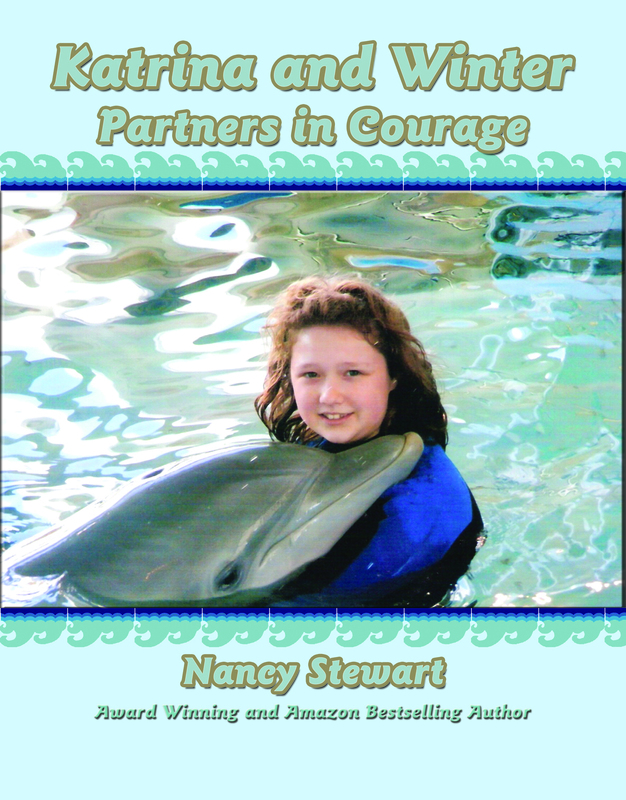 This is a very special book about a girl named Katrina, who has a 'helper leg', and how her bond with a special dolphin named Winter helped her break out of her shell. I am a huge fan of Winter, the star of the movie "Dolphin Tale", and I've been to see her in person at the Clearwater Marine Aquarium multiple times. She is so strong and inspiring, and I couldn't wait to read a book based on her and her amazing story and how she helped someone to start living again. Surprisingly, Winter wasn't in as much of the book as I had thought she would be. But Katrina never forgot about the dolphin who originally inspired her from being a shy girl with no confidence who always hid behind her 'helper leg' and let it define her. Then she met Winter, who didn't let not having a tail hold her back from doing anything. Katrina was inspired to do things most girls her age with two 'normal' legs wouldn't even do. She joined every activity she could dream of. She started holding her head high, and speaking up. The transformation was really about more than just becoming used to her helper leg. It was about her inner confidence coming through. Katrina never stops thanking Winter for how much she helped her, and the story comes full circle when Katrina films a video for the aquarium, and people start looking to Katrina herself as an inspiration. Bottom Line: If you don't have a chance to meet Winter herself, this story will be inspiring to kids and adults of all ages, and abilities, to overcome obstacles in their own life, just like Winter and Katrina inspire others every day. 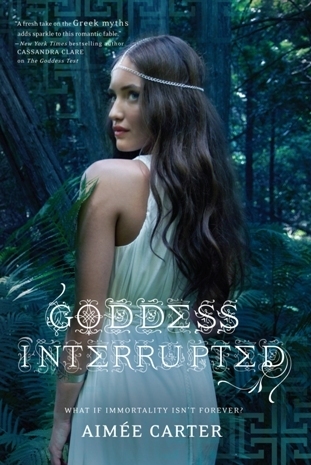 Giveaway and Review: "Goddess Interrupted"
Wow, I was really impressed by this book! It's not your typical YA! The story and the elements seemed a lot more mature than most YA, which is great for us adults who love reading YA stories. I'm not saying it's not 'suitable' for younger teens, I'm not going to tell anyone else's kids what to read, but I just think the romance and the things Kate dealt with in her relationship (marriage) were more mature themes than usual for YA. At first, I thought that I would hate the Persephone story line and how Henry was still in love with her. But actually, the author dealt with it so well, and in such a real way, that I ended up really getting into the story. It was honestly heartbreaking to read about for both Kate and Henry. When I first started reading, I was surprised by how much the gods and goddesses had slept around but then I remembered that is the way it really happened in the Greek myths. It was interesting to see this aspect not glossed over like it is in many of the modernized stories. I was much more into the relationship conflicts between the characters, Kate's relationships with Henry, Persephone, her mother, James, and Ava, than I was into the major conflict of the world ending. It was just so overwhelming, maybe I would have responded to a smaller conflict a little better. Bottom Line: I loved this book, the characters and the relationships had much more depth than I was expecting. This is one of those books that is going to stay with me for a long time, and I can't wait to read the rest of the series. 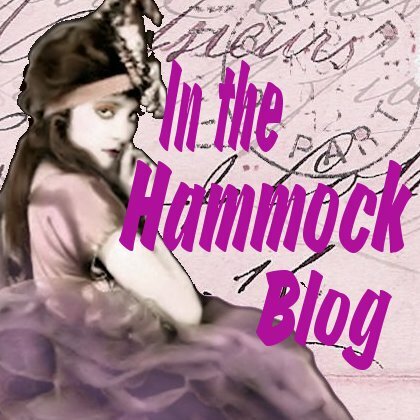 The publisher and publicist have generously provided a finished copy for readers of my blog! A retelling based on Peter Pan? I definitely must read this! 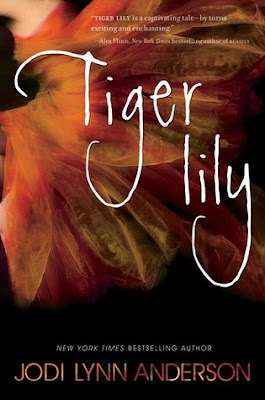 And how great to explore a character like Tiger Lily! I can't believe I only found out about this book in the last week! 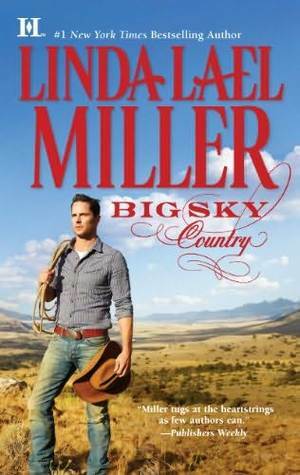 As part of the blog tour for "Big Sky Country" by Linda Lael Miller, I would like to feature the the author's newest western romance as well as reveal today's excerpt! BookTrib is hosting a great contest including the book and a lariat necklace!! The "First Lady of the West," #1 New York Times bestselling author Linda Lael Miller is back with a new series about Parable, Montana-where love awaits. The illegitimate son of a wealthy rancher, Sheriff Slade Barlow grew up in a trailer hitched to the Curly-Burly hair salon his mother runs. He was never acknowledged by his father-until now. Suddenly, Slade has inherited half of Whisper Creek Ranch, one of the most prosperous in Parable, Montana. That doesn't sit well with his half brother, Hutch, who grew up with all the rights of a Carmody. Including the affections of Joslyn Kirk, homecoming queen, rodeo queen, beauty queen-whom Slade has never forgotten But Joslyn is barely holding her head up these days as she works to pay back everyone her crooked stepfather cheated. With a town to protect-plus a rebellious teenage stepdaughter-Slade has his hands full. But someone has to convince Joslyn that she's responsible only for her own actions. 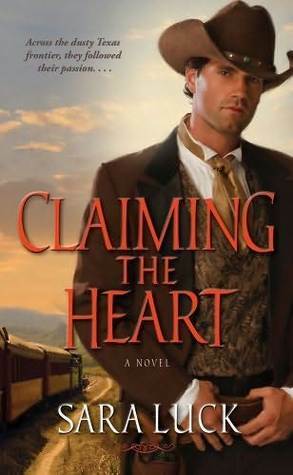 Such as her effect on this lawman's guarded heart. Callie nagged him into power-washing the two-toned walls of the trailer—the part that housed the shop—at least twice a year, and he painted the rest of it regularly, too. This week, all the words on the dusty reader-board at the edge of the gravel parking lot were even spelled correctly. Acrylic nails, half price. 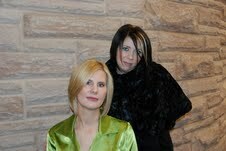 Highlights/perms, ten percent off. Slade smiled as he shut off the truck and got out. The shop didn’t open for business until ten o’clock, but Callie already had the lights on, and, most likely, the big coffeepot was chugging away, too. As Slade approached, the door opened, and Callie, broom in hand, beamed a greeting. Callie Barlow was a small woman, big-busted, with an abundance of auburn hair held to the top of her head and she wore turquoise jeans, pink Western boots and a bright yellow T-shirt studded with sparkly things. Vegan recipes, yay!! Plus this one has loads of gorgeous photos! 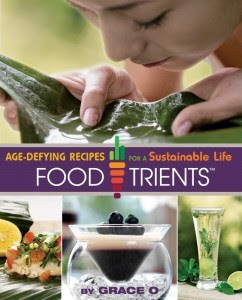 The publicist has given me permission to post two recipes from the book on my blog to celebrate the release on Tuesday June 12! Today I will share the Grilled Corn and Avocado Salad and I'll feature Zucchini Blossoms Stuffed with Amaranth along with my review later this week! Enjoy!! Cornelia Guest, author of Cornelia Guest's Simple Pleasures: Healthy Seasonal Cooking and Easy Entertaining, is an activist, philanthropist, and businesswoman. 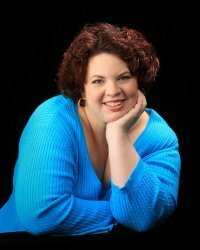 In 2009, she founded Cornelia Guest Events and Cornelia Guest Cookies, catering charity and entertainment events with healthy, delicious vegan food. She is launching her own line of animal-friendly handbags, wallets, and dog accessories made with a vegan alternative to leather. She lives in New York. 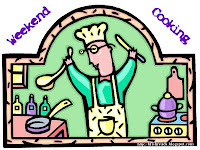 I'm sharing the recipe with those at Weekend Cooking over at Beth Fish Reads! Current contest ends Sunday 6/10 at midnight! Interesting! 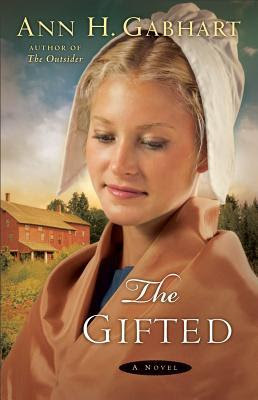 I have read a few Amish novels for adults, but I would love to see how it plays out for teens! I really like the cover too! 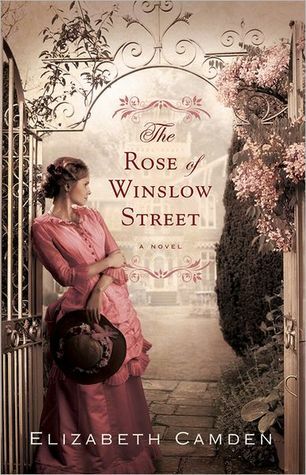 "The Rose of Winslow Street"
The last thing Libby Sawyer and her father expected upon their return from their summer home was to find strangers inhabiting a house that had been in their family for decades. Widower Michael Dobrescu brought his family from Romania to the town of Colden, Massachusetts with a singular purpose: to claim the house willed to him long ago. Since neither party has any intention of giving up their claim, a fierce legal battle ensues between the two families.When important documents go missing from the house, Libby suspects Michael is the culprit. Determined to discover the truth behind the stolen papers, Libby investigates, only to find more layers of mystery surrounding Michael and his family. 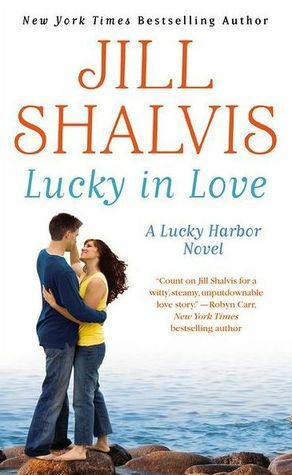 Despite their rivalry, Libby finds herself developing feelings for this man with the mysterious past. As a decision about the house looms in the courts, Libby must weigh the risks of choosing to remain loyal to her family or give her heart to a man whose intentions and affections are less than certain. I loved this book! It was really different from a lot of the inspirational fiction I've read lately, and I think that's why I enjoyed it so much. The storyline was unique from anything I've read and so were the characters. All of the characters drew me in, both the leads and the supporting cast. I really cared about both Libby's and Michael's families. I loved that Libby loved and cared for Michael's family regardless of their nationality, even when everyone else in the community shunned them. It really showed that she lived out her faith and beliefs instead of just saying she believes something and not backing it up with anything. The romance between Libby and Michael was really special. They truly had a bond that overcame all of their legal obstacles. Their cultures and personalities made for some clashes, but that just made their romance all the more realistic. They truly had a lot to overcome to be together, but they were both equally up for the challenge, and both willing to compromise. The mysteries surrounding the house and Michael's half-sister were quite intriguing. I liked that they were family secrets slowly coming to light, not a murder mystery to be solved. 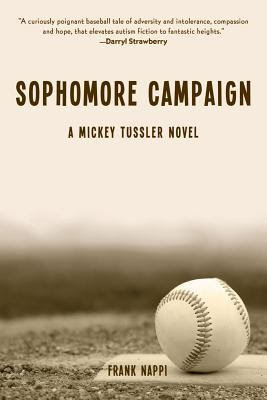 Bottom Line: I loved this tale of family bonds and new love overcoming obstacles. It's a new and different read and really stands out from the crowd. This book was definitely a new and different type of YA paranormal romance. Dealing mostly with past lives and reincarnation, I hadn't read any YA books with this type of plot line. The romance was interesting also, because of all the twists and turns that their relationship took. Sometimes Griffon was a little too mysterious and aloof for me though. One of the twists in their past lives really threw me for a loop, I wasn't expecting it at all. I didn't really get into the conflict that Cole had with Veronique, which was actually most of the book. The two ladies shared a bitter conflict in their past lives. 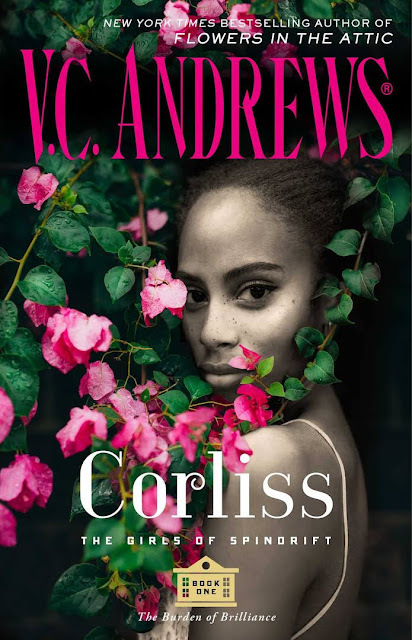 I suppose I would have rather been reading about Cole's conflicts within herself with her cello ability being due to past lives, and with her becoming acquainted with being Ahket, and of course I'd rather have read about her romance! The Veronique drama slowed the book down for me, especially the flashbacks written all in italics. They were certainly neccessary for the story, but my eyes aren't really fond of reading large chunks of texts in italics. There's a twist coming in book two that I was curious about for most of this book, and I thought maybe it would play out within book one. I'm very curious about it, so I will probably read book two as well! Bottom Line: There were a lot of new and different stories to be told here, and in future installments of the series. Tor has posted a free short story prequel to "Of Poseidon" by Anya Banks to read on their website, no downloading or e-reader necessary. The story is called "Legacy Lost." It's pretty short but it's definitely worth reading if you've already read the novel or if you are trying to decide if you want to buy it or not. Enjoy! I first saw this story posted at the Radiant Shadows blog. I have a ton of contests going on right now! "The Ride of Her Life"
The only man pragmatic Lilly Hart needs in her life is a six year old. Widowed two years ago, Lilly leaves the shelter of her intrusive in-laws' home to stand on her own and provide for her young son by working for the summer as a cook at Lake Manawa. However, her in-laws find that life utterly unsuitable for their grandson, and when a row ensues, a handsome stranger--who designs roller coasters, of all things--intercedes on her behalf. Still, Lilly is not about to get involved with any man, especially this cocky (though charismatic) gentleman. 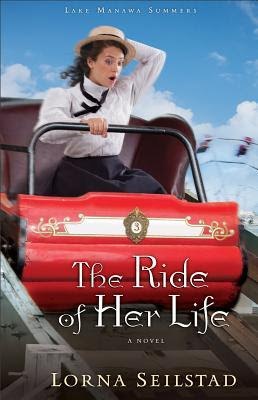 Little does she know she is about to begin the ride of her life.Filled with delightful characters and the romance of summer, The Ride of Her Life is another supremely entertaining story from the witty Lorna Seilstad. 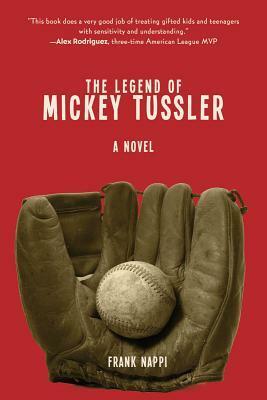 Readers will laugh out loud and sigh contentedly as they spend the summer of 1906 in Lake Manawa. This was the first book I've read by this author, but now I've got to go back and read the first two books in this series ASAP! The book had everything that I'm looking for in a historical romance, great characters, a fun and unique setting, and so much romance! 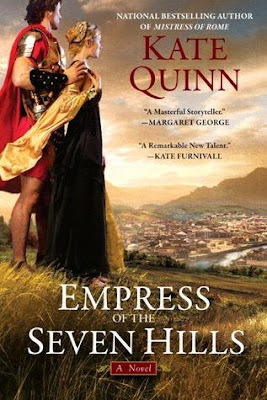 The story had a lot of romance, which is something you really don't see that often in historical romances. It's almost like the romances are thrown in at the last minute sometimes. But this story really is a romance, the bulk of the tale focuses on Lilly and Nick. They spend so much time together getting to know each other, I loved all of their scenes together. I really did understand why Lilly had such a hard time handling a new romance since her husband had passed away, on the other hand it was so frustrating watching her push away someone as great as Nick when he wanted to help her so much. The supporting characters in the book were fantastic as well. It was fun to see the pitfalls that Lilly and her kitchen assistant at work would fall into, since the poor assistant was just so accident prone. Lilly's son, Levi, is adorable and his scenes never feel forced or used just to be cute. He had a lot of funny lines, but they all seemed very realistic. Even the somewhat bad characters (no spoilers, you'll find out!) were so well written, representing both the bad and good sides of their characters. The main reason I wanted to read this book was because of the roller coaster and the theme park setting, and it did not disappoint. It was such an interesting and unique setting, and the author really makes the reader feel like she/he is there. I admit that in some ways the cover does look a little silly (even though I love it at the same time), so I was pleasantly surprised that the book isn't silly at all. It is a light read for the most part, but there is a lot of heart. All in all it's a perfect heartwarming, romantic summer read. Bottom Line: I can't wait to read the first two books in this series. My only complaint is that this series is over now! As part of the blog tour for "Tempest Unleashed" by Tracy Deebs, I'd also like to welcome Tracy to In the Hammock for a guest post! You can see my review of Tempest Unleashed here! Thank you, Tracy, for taking the time out today to visit as part of the blog tour! A bunch of studies have been done in the last year or so on who the typical ebook reader is. What the studies show is that she is an upper middle class woman between the ages of 30 and 50, who likes to read romance. But with every month that passes, and every reader who turns to ebooks as a viable reading alternative, that demographic is changing. More men are buying books for their iPads, more senior citizens are getting in on the act with the Kindle and Kindle Fire. More children are reading books on iPods. But the one group that was stagnate for years, and that is still growing at a very slow rate—despite having access to all the technology—is teens. For whatever reason, the typical teenage YA reader is hanging on to the print book by the fingernails. Or at least, that’s what the statistics say. What I’m curious about, is what do you say? How do you feel about e-readers or reading on your iPad? Are you open to trying one out? Or are you stuck on the feel of a book in your hands? I have a Nook and I use it regularly, because it’s easy and convenient and I can get a book at three in the morning when my insomnia strikes and Barnes and Noble is closed. But at the same time, I admit that I still love to hold a book in my hands. I love the smell when I walk into a Barnes and Noble and I love trolling up and down the aisles looking for a book to leap off the shelf at me. Just the other day, a package arrived from my editor with finished copies of Tempest Rising in it and I squealed like a little girl when I opened it. I took the books out, poured over every detail of them—including the purple and white belly band at the top of the binding, the purple foil writing, the waves at the top of every new chapter and Tempest’s tattoo, which is stamped numerous places throughout the book. No matter how convenient my Nook is, it can never give me that same feeling, that same excitement. So while I understand that e-readers really are the future, I would be lying if I said I won’t miss the print book. 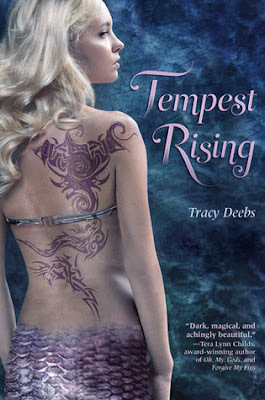 Tracy Deebs has generously offered an autographed copy of the first book in the series, "Tempest Rising", to one lucky reader of my blog! The giveaway is open to US and Canada. Must be 18 to enter. Book will be mailed out by the author. Ends Sunday June 10. No extra entries, just answer Tracy's question in a blog comment with your email address!! I really enjoyed the first book in this series, but the sequel is even better by far! I had a hard time with Tempest's final decision in the first book (I suppose it's not a spoiler since it's in the blurb for this book), but now that the decision (seemingly) was made, I really enjoyed the story told from the ocean world better than the story on land in the first book. The author has a built an amazing world under the sea, and I'd much rather read about that than Tempest's everyday life on land while she struggles with her new status as a mermaid. I feel like that maybe has been done a lot, but the great mer-world hasn't really been done in this way before. Remember how I thought Tempest had made her final decision to live as a mermaid, it turns out the decision is not so final yet. Wow, is she confused. She's not only confused about whether she wants to live on land with her family or live at sea and save the mermaid world from disaster, but she also can't decide between her selkie boyfriend, Kona, and her human boyfriend, Mark. I really couldn't believe how much she goes back and forth between the boys. It's a true love triangle because I had no idea who she would choose. She really wasn't being fair to either of them though. If one boy made any kind of a mistake, she jumped ship and ran to the other. I also thought that both boys weren't really the same characters they were in the first book. I wasn't sure I really agreed with this aspect. Kona seemed so great in the first book and he did some weird, possessive things in this one. Mark seemed shady the first time around, but now he's perfect. Hmm...no wonder Tempest is confused. There is so much action in this book, it's a real page-turner. I read the first half in one sitting, which is a rarity for me. Tempest is such a strong female character. She doesn't take anything from anyone without a fight. There is also a ton of romance in this book. Probably more than I've seen in most other YA books. The author has a great style of writing her romantic scenes that I really liked. Bottom Line: I enjoyed this installment even more than the first book. Non-stop action and romance.